Not enough moon dust! It’s the argument for a young earth that just won’t die even though many YEC leaders have said it should. I was prompted to think about moon dust two days ago, after a 15 year break, when a colleague of mine stopped by my office and told me that she had a student who confronted her, in a friendly way, after class with the moon dust argument as his explanations for why he didn’t feel he should have to accept many of the concepts taught in her general biology course. This student seems to have been quite convinced that the amount of dust on the moon is proof that the earth is young. My colleague was unaware of this particular argument and so did not know how to respond to the specifics of these claims other than to ask that the student send her an article on the topic so she could examine the evidence further. Apparently this student had learned this argument from his father and the YEC literature and it is this type of student, I fear, that is very vulnerable to having a serious worldview crisis at some point. He may live his whole life simply refusing to hear any contrary evidence by putting any such evidence in that “origins science” box that I referred to in an earlier post (origins science and misconceptions of historical science) . But if he does some serious examination the arguments and discovers the shaky data and logic used to support it he will be in danger of becoming suspicious of everything he has been taught including ideas well outside the origins debate. The following letter was one that I wrote in response to a dialogue I had on an internet discussion group with the author of a paper that was published in the Chalcedon Report in 1998 which focused on the age of the earth. In that paper this person appealed to the rather infamous “moon dust” argument as one of the best scientific evidences of a young earth. Briefly, that argument states that based on estimates of rate of influx of micro-meteorites on the moon if that influx is extrapolated over billions of years there should be many hundreds of feet of fine dust on the surface of the moon. Since the 1969 moon landing did not sink into a thick moon dust layer those calculations of billions of years are wrong and instead are more supportive of a young moon that has not collected much dust. I will examine this claim in detail in the letter published below. Even by 1993, many young earth creationists were backing away from this particular argument with Answers in Genesis publishing an article entitled “Moon Dust Argument No Longer Useful,” but it doesn’t stop it from being used even today. Here is just one example from a blog post in February of this year. 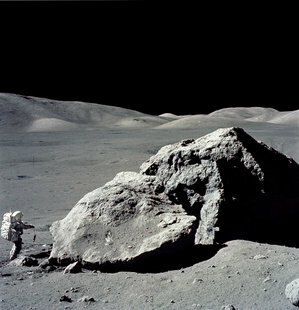 Sociologically, the use of this argument by YECs is interesting because it shows that once published and circulated an idea like moon dust is very difficult to expunge from a populations consciousness even when leading YEC organizations have continued for 20 years to say that the argument no longer be used as a proof of a young earth. The following letter risks being overly repetitious with respect to the refutation but some things need to be said many times before they will sink in. Below is the portion of my letter that dealt with the moon dust argument. This was written 15 years ago and I present it with only some grammatical changes. … As for the moon dust example I appreciate your response and it was much more thought provoking than most. I can understand that you see it as an example of scientists not consistently applying the uniformitarian principles they claim. However, I think that you have had the misfortune of having been deceived by some whom, out of their zeal to provide evidence for a young earth, have misrepresented many things to you. I have spent some considerable time both in discussion with others and in personal research on this particular topic. I will send you a series of observations made by others and myself on this question. In this NASA image you can see the footprints on the moon revealing the lack of thick dust. It appears there are many discrepancies in people’s recollections of exactly how important the moon dust question was at the time of the Apollo landing. 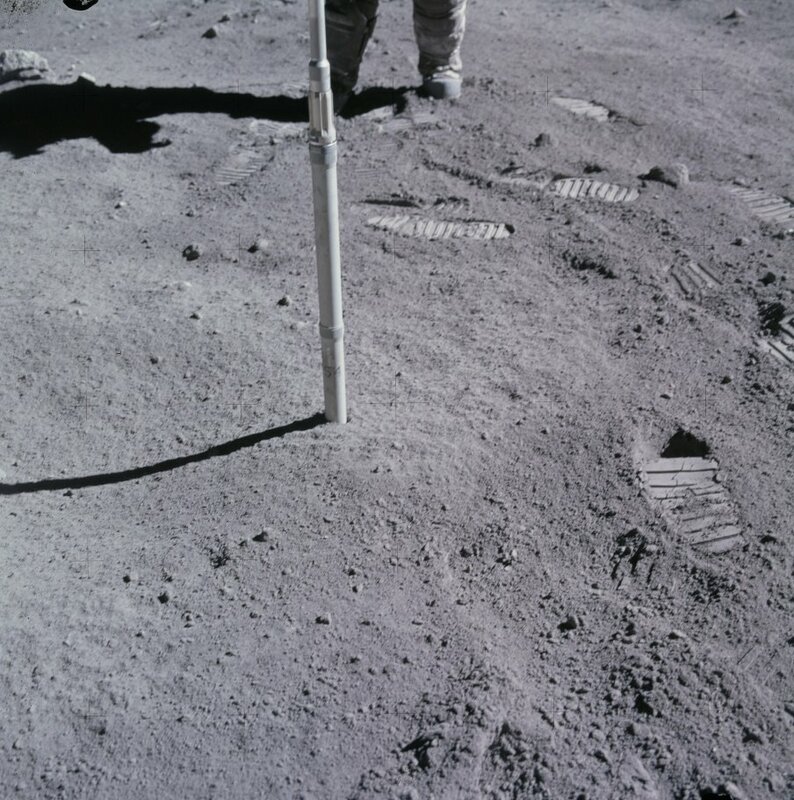 One thing seems certain though, by the time the Apollo landed there was little doubt (in mainstream science) that the surface was not covered by a thick layer of dust. Five spacecraft over the previous three years had already landed on the moon and sent back pictures showing only a few inches. Articles from National Geographic and Life show that what was being presented to the public as early as 1963 was a fairly consistent portrayal of the moon as being rocky with a thin layer of dust. Not that there weren’t diverging opinions, but those that thought that there might be a thick layer of dust didn’t think this thick layer covered the whole surface but rather that there might be “lakes” of thick dust. The argument that there had to be a thick layer due to the predictions from a single estimate from 1959 was taken seriously enough in 1963 that a committee sought to test the estimates acknowledging there to be serious limitations in such estimates made from earth and so they sought to get satellite data on the question (see info an the end). By 1964 they already had data that was much more reliable and knew that the 1959 data had resulted in a drastic overestimate. Much of the confusion over this issue is that there were many unknowns about the landing. There were many potential hazards on the lunar surface quite apart from thick surface dust. Boulder distribution, slope, radiation, reactive chemistry, and micrometeorite flux were all unknown. All of these could have been talked about in the layman context of a dust problem. What about dust created by comets and asteroids hitting the moon and kicking up debris, this couldn’t be predicted precisely by any uniformitarian assumption and thus had nothing to do with cosmic dust influx questions. Thus the lander pads were made accordingly but were NOT made specifically to counteract a 100-200 foot thick layer of dust that was theorized to be there based on some uniformitarian application of one bit of data. The historical revisionism appear to be on the part of the creation scientists and how they have vastly oversimplified the situation and specifically stated that the pads were there for that purpose and that the “best estimate of cosmic dust” was from 1959 when neither of these were the majority opinions of scientists and there is plenty of literature in the scientific area as well as in the popular press as evidence of this. I am not calling your memory into question. I don’t doubt that there was talk about it. Certainly, even though National Geographic drew pictures of a rocky moon in their journal since 1960, vast numbers of the public would cling to sensationalistic possibilities of the craft sinking and just like today the News media probably played to those very fears by finding people willing to suggest just than on the news. The asteroid dust problem may be what was being referred to when you heard about dust not the estimate made from cosmic dust influx. If this is the case then the whole use of this example against uniformitarianism is moot. The majority of people I have talked to though say they have no recollection of any talk on the news of the dust problem at the time of the Apollo landing that would have anything remotely due to uniformitarian considerations. I am still waiting for more documentation on this point (including original NASA documents) and someday will try to get the actual news reels to look at this closer. Going back to Morris in 1974, he states the best estimate is from 1959 and I can only conclude that this is either an outright deception on his part or just selective amnesia/wishful thinking and bad literature review. I really believe the latter but either way it isn’t too flattering. As I said there was much written on the topic and even Petterson acknowledged in his paper in 1960 that his estimate was likely a far overestimate and talked about the many sources of error in his data. But Morris doesn’t ever mention those sources or error and simply accepts the higher number of Pettersons and uses it for his calculation. This is just plain bad science!! You would jump up and down if any other scientist so selectively used data like this to make a point (and I am not denying that they do quite frequently). Later in 1985 Morris used a different estimate of the amount of moon dust and not only is the reference wrong in the book but the math in the estimate was botched. In addition, Morris and others have frequently claimed that scientists were “astounded” at the discovery that there wasn’t much dust which is just a bunch of bunk. I searched 8 years of _Science_ magazine without finding as much as one reference to concern over moon dust as accumulated over billions of years though there were many many other concerns about the landing surface based on many speculative theories which had yet to be tested. The special Moon edition of Science in 1970 has over 50 articles covering every aspect of tests done on the lunar samples and research done on the moon and I can find nary a comment on the depth of moon dust being even surprising (it shouldn’t have since they knew since 1964 thick dust wasn’t going to be a problem) though there were many papers detailing the physical makeup of the dust. So we have established that at the time of the Apollo landing the moon dust question was moot. Does this mean that it was never a question? Not at all! As I said before, in the early 60s some called for experimental data to be gathered to address the question. Why were tests called for? BECAUSE it was known there were no reliable sources of data to allow a confident assessment. In the 50s there were two scientists who did suggest that there could be a lot of dust but these were speculations based on many assumptions not just an uniformitarian one. Even at that time it appears that the majority of the scientific community did not just accept these predictions. WHY, because they knew there were many problems with the assumptions involved. 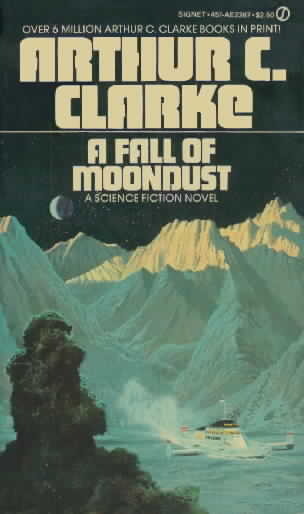 But these wild speculations about moon dust did spur several popular articles and books on the topic including a very popular story in Readers digest in 1959 (before the only estimate based on any data at all was around) and in Arthur C. Clarkes book “Fall of Moondust” from 1961 which was read widely. These books, more than anything else popularized the view that the moon was covered in dust but this does not mean that scientists put much stock in it. Maybe the biggest problem of all is the total disregard of creation scientist of what the meaning of uniformitariansm is as and how it is understood today (20th century). No scientist believes in Lyles definition. Aren’t scientists allowed to come to a better understanding of topics or must they continue to believe fossils are “sports of nature” (look like but never where living) because that is the way they were defined originally. Uniformitariansm refers to PROCESS not to actual volumes or rates! Lunar dust as the result of meteoritic impact does not have to be uniform process whatsoever. What is believed to be uniform over time is the process that says if an object of X weight and Y composition strikes another object at Z velocity of X weight and Y composition then certain things will happen, ie. basic physical processes occur the same way but the rate (more meteorite impacts might have occurred in the past than in the present) doesn’t have to be the same though it may if there are good reasons to believe it has. Another example often used by creation scientists is a prediction that they say is required by uniformitarianism is that there is too little sediment deposited at the mouth of the Mississippi river. Well they are assuming of course that over time the Mississippi has always carried the same load of sediment and that the mouth has been in the same place. Now if there were reason to believe that all environmental factors have been the same over time and that the mouth of the river has always been in the same place then one could estimate the time since the river first started spewing forth sediments at that point. But there is good reason to believe that the sediment load has changed dramatically over time due to the amount of vegetation covering the area it drains, changes in climate/rainfall amounts and changes in sea level. Also the mouth of the Mississippi has moved from well into Florida to over near Houston several times and thus there is much more sediment that must be accounted for. Now uniformitarianism says that the processes involved over the past 30 million years were the same. A particle of X mass will be suspended in the river only if the velocity of the water of X and the temperature Y. We can list many many other things that the uniformitarian principle might also cover in this regard. The case of space dust is the same. The moon’s surface has undergone many changes over time. No one postulates that the rate of meteorite impacts has been constant throughout time only that the effects of those changes have been constant. To say that accepting this means that one doesn’t accept uniformitarianism would be to say that one believes that the laws that govern how matter interact with one another have changed over time. Finally, even though you might find this example still valid historically this is not the way this example is presented by creation scientists as a whole. 99% of the time I have heard this example used it is used as if it is real evidence accepted today that “PROVES” the earth is young, rather than the way you have used it. I have personally been confronted with this evidence multiple times as if scientists are totally ignorant and just ignore the fact there should be more dust on the moon and therefore uniformitariansm is washed up. Not only that but they say that given the known influx of dust (using the 1959 estimate exclusively of course) the moon is proof of a young earth. Again, I just ask that Christians be more careful in their claims than those they are criticizing. What is sad is that the moon dust example is hardly the exception but has been the rule. You seem to feel that there is merit in the creationists claims but I would suggest to you that just as you claim that I have been tainted and wish to see things my way you also, in your zeal to support your interpretation, have been too quick to accept whatever fits into your worldview. In the same issue of Chalcedon report there is an article on Dr. Brown’s hydroplate theory which I presume puts a positive spin on it though the on-line version isn’t out yet. Though couched in fancy terms and pretty pictures, Walter Brown’s book is just full of distorted evidence and terrible misunderstandings of the scientific data not to mention extreme tunnel vision in his use of references. Most interesting though is the presupposition of Dr. Brown himself and how he sells his scientific? hypothesis. In the forward of my edition (2nd edition) of the book he states: “A detailed and scientific reconstruction of these events (the Biblical flood) can now be made independently of Scripture. This reconstruction, based only on what is seen on the earth today, is briefly described in the section of this book entitled, “The Fountains of the Great Deep.” If you will study both this explanation and the Biblical descriptions of the flood–two completely different perspectives–you will probably be startled by their correspondence and the sheer power and violence of that event. Both the Biblical scholar and the scientist will be surprised at the extent to which each perspective illuminates the other.” So without the Bible these data just naturally interpret themselves in this fashion! How can this be? The second sentence is worse. “Based only on what is seen on the earth today,” well if processes have changed in the past (which they must since uniformitarianism is bogus) how can one study only what is seen today and understand that past. What Brown has made here is a tacit admission that the present is the key to the past. And “each perspective illuminates the other” I agree but I don’t know how Brown can say this in this context. Unfortunately no one in your organization appears to have any ability to judge the scientific merit of his claims but rather is more than willing to put their stamp of approval on them. Alas, I digress but I am more than willing to back up all of my claims. I have waited a long time in responding but I did want to check my facts first, though I am still plan to do much more research into this topic. Great article! I teach vulnerable students, such as you describe, and fear for them also. They either will disengage from conversation at the secular universities or they will be shredded by better informed students and teachers. For some, this will be a huge crisis of faith. I find it rather inconsistent to reject every single thing coming out of “Answers in Genesis”, yet the moment you spot a disagreement between them and other Young Earth Creationist’s, you herald their point of contention as truth because it suits your need. The bottom line is, no evidence would be sufficient to convince you of the truth of Creation and the Biblical Worldview because you are already arriving at the evidence with pre-suppositions and are evaluating the evidence in the light of them. Hi R.K., It isn’t only possible the God of the Bible does exist and but He is the only true God. That’s an easy question. I’m not sure what your specific criticism is of my comments on the moon dust argument. you don’t seem to be pointing out that I am factually incorrect or that my conclusions aren’t justified based on the evidence. I did link to your post because it was a good example of common here-say evidence. I don’t need more evidence to convince me of creation and a Biblical worldview since I already am a firm believer in both. However, you don’t seem to be aware of your own presuppositions regarding your own hermaneutical approach to Scripture. I firm grasp on historical Christianity and especially events of the 17th and 18th century would help you to realize that you are applying a strongly modern view of science into the Bible and are not using a traditional and strongly supported grammatical-historical approach to understanding Scripture. I wish you the best in your endeavors but hope that you will be as open to examining your own presuppositions (I’m not talking about just believing the the Bible is the world of God but an examination of how you evaluate Biblical evidence) as you are quick to believe that others are not able to be aware of their own assumptions. N.H., Thank you for your gentle corrections. In your opinion, how can I best begin to utilize traditional and strongly supported grammatical-historical approaches to understanding and sharing Scripture? Thank you, Alice! Fidelity to the Scripture is also my chief aim. I look forward to checking out the link! Very interesting argument. Using your same logic then why do evolutionists assert they can logically assess the age of anything since the basis of radiologic and/or carbon dating assumes the same radiologic or carbon atmospheric composition as today as your basis for assessing the age of fossils. If dust can or can’t fall on the moon in a uniform rate over time thereby supporting your assertion then radiation and carbon can not be assumed to be uniform either when attempting to date fossils. A secondary follow up to my earlier note. The issue wasn’t how much dust was actually on the moon. It was that the evolutionary model failed to accurately predict the amount of accumulation there was. The calculations were so off that even nasa and the scientists of the day thought it ludicrous to believe them. But they still sent a probe to check first. Good science looks at evidence first then makes speculative analysis. It doesn’t assume a fact in spite of evidence. The evolutionary model was wrong in its calculations then they conveniently changed the calculation to fit the actual amount of dust thereby creating their own evidence from facts that did not fit the accepted model. You can argue it if you want but the fact is nasa asked the evolutionists how much dust should there be and the evidence showed they were wrong. The only way to not lose face was of course to say oops we made a math mistake. They couldn’t say oops our theory is wrong.